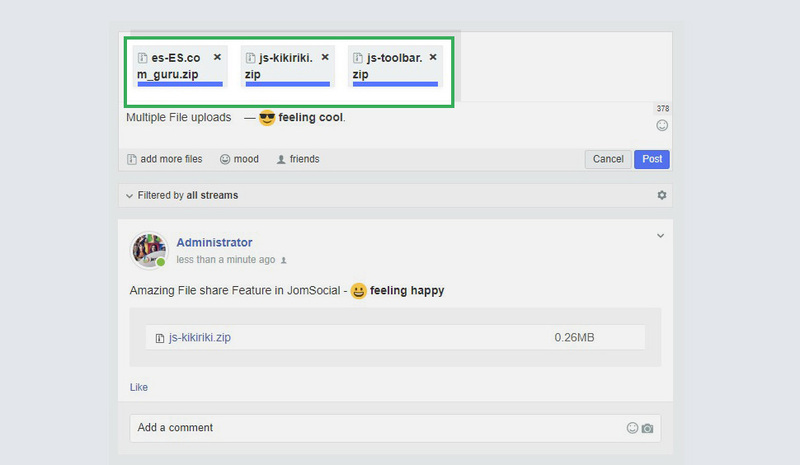 File upload is an important feature for a community site, it allows a community to share files with other users. 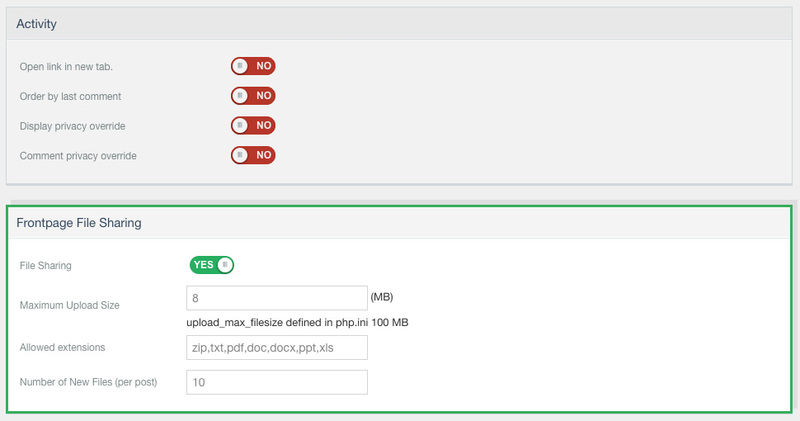 The feature allows you to upload multiple files in most popular formats: zip,txt,pdf,doc,docx,ppt,xls etc in Frontpage, Groups wall, Events wall. How it works on the frontend? We design the feature in such way of ease of usage. To upload files, navigate to the status update > Click "Files" > select one or multiple files to upload then upload the files. Once it uploads it will appear on the wall stream. How to control files sharing? Admin has full rights to allow or disallow the file sharing. We implemented the settings separately for: frontpage status update, groups and events. To enable the file share option on the front page wall steam, go to: Components > Jomsocial > configuration > site find the option: Frontpage file sharing and enable it. Other settings include: maximum upload size limits, allowed file extensions types and number of files per post. 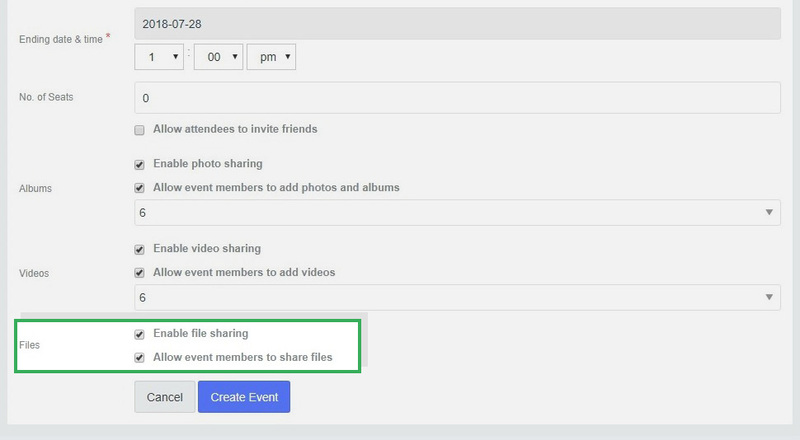 This option allows you to control the file share setting for all the events. It includes the configuration to enable/disable the file share option with max upload size limit, allowed file extension and no. of limits to upload files. 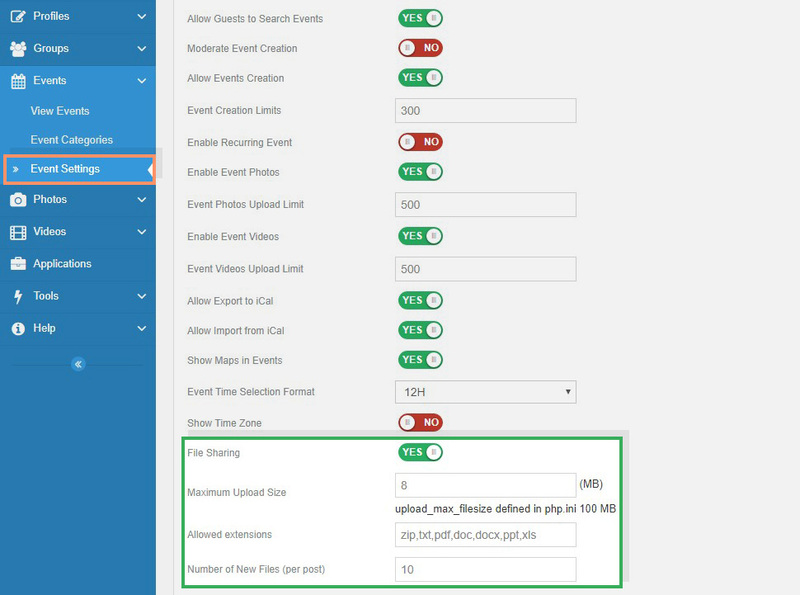 Note: For the published events, if you want to enable the file share option, please edit the event from frontend and enable the file share option. The settings include a configuration to enable/disable the file sharing, set max upload size limit, add allowed file extension and number of files to upload. 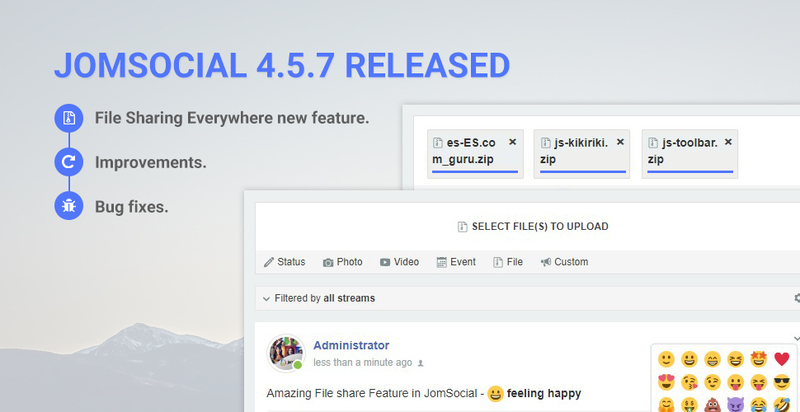 In Groups discussions, we already have the file share option present for an older version of Jomsocial. 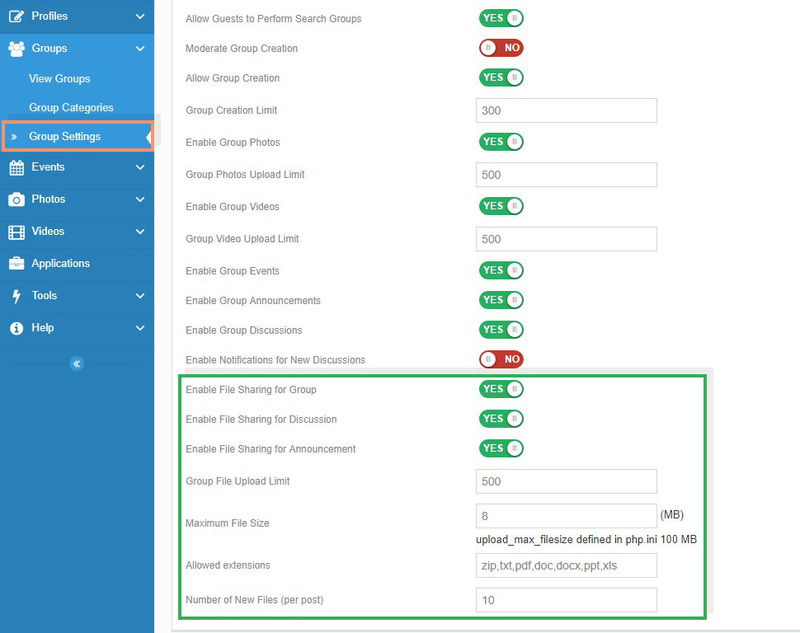 Joomla access level helps to restrict the user access based on the user group, Jomsocial fully support the Joomla ACL and for this new feature we add new ACL rule for file sharing that restrict user group to add files.